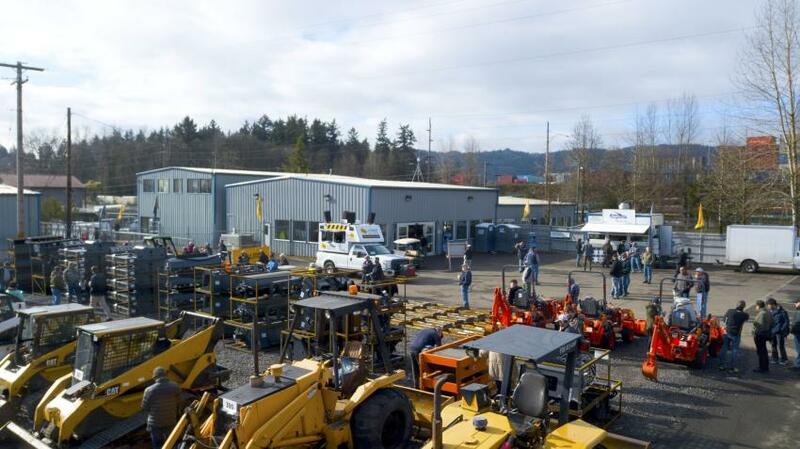 A successful auction at J. Stout Auctions' Portland, Ore., location kicked off the Spring season. 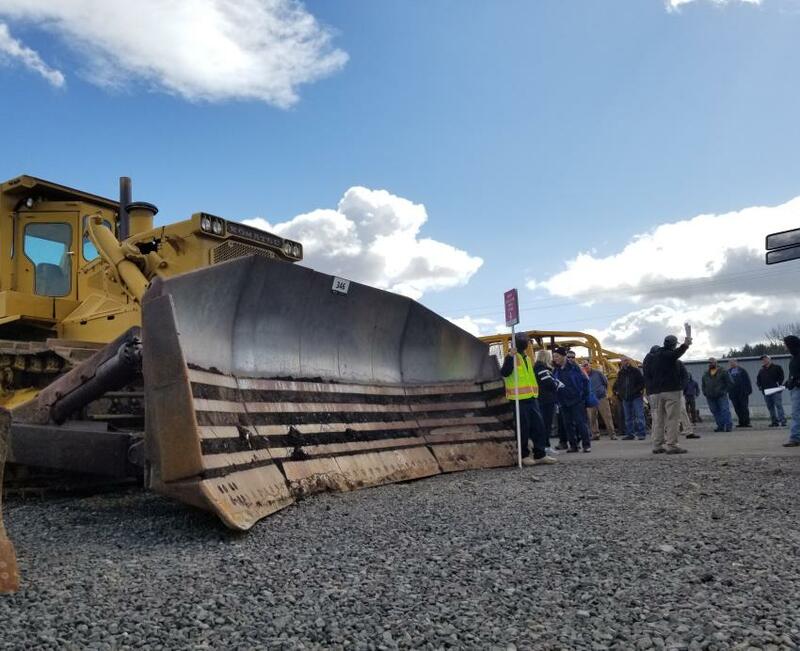 On March 13, the company hosted a heavy equipment and commercial truck live auction that sold more than 720 pieces of new and used heavy equipment, commercial trucks and government fleet to buyers across the globe. More than 800 people from 42 states came to the site in person or participated online. Bidders across the world also took part, registering to bid from six different countries including Israel, Saudi Arabia and Jordan. 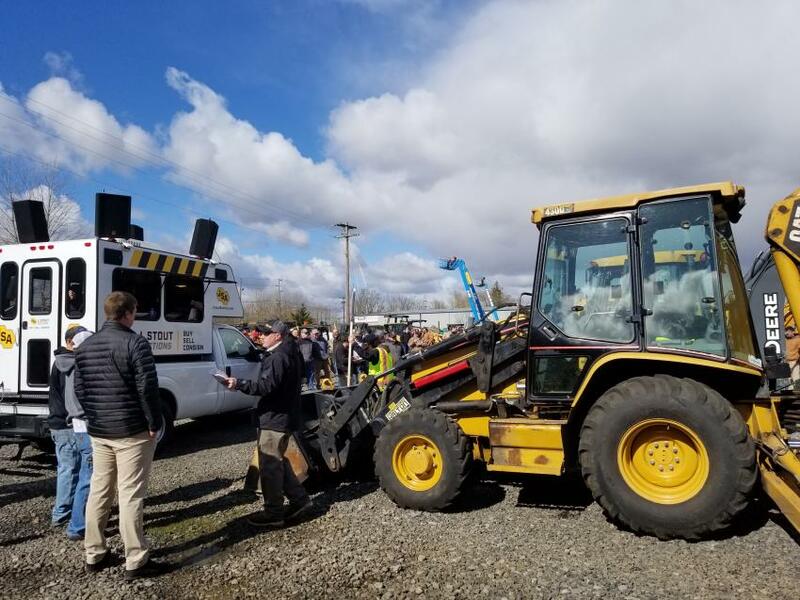 A few of the highlighted items included a Pegson Metrotrak 24x36 jaw crusher that sold for $90,000 and a JLG G10-55A telescopic forklift that sold for $50,000. JSA will be holding its next auction on May 8, at a brand-new permanent location off Highway 2 on 8108 W. Sunset Hwy., Spokane, WA, 99224. 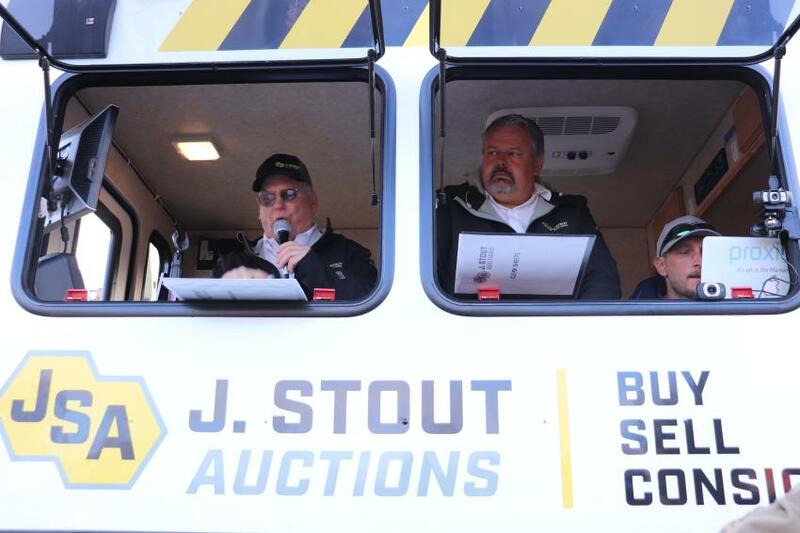 In the next few months, J. Stout Auctions is making big changes not only in Spokane, but at the company's flagship facility in Portland, Ore.
J. Stout Auctions sold more than 720 pieces of heavy equipment, commercial trucks and industrial tools at its latest March live auction. 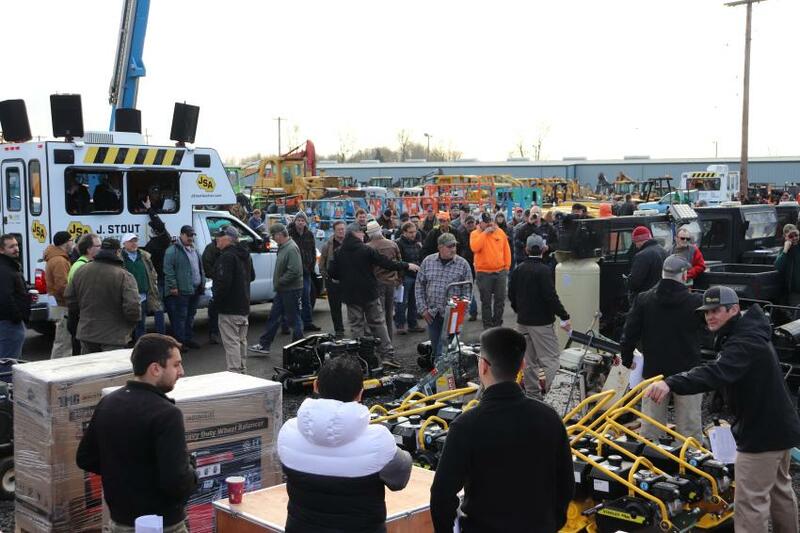 Crowds of people came out to bid on several brand-new pieces, including Stanley plate compactors and 2019 Easy-Clean Magnum 4000 pressure washers. 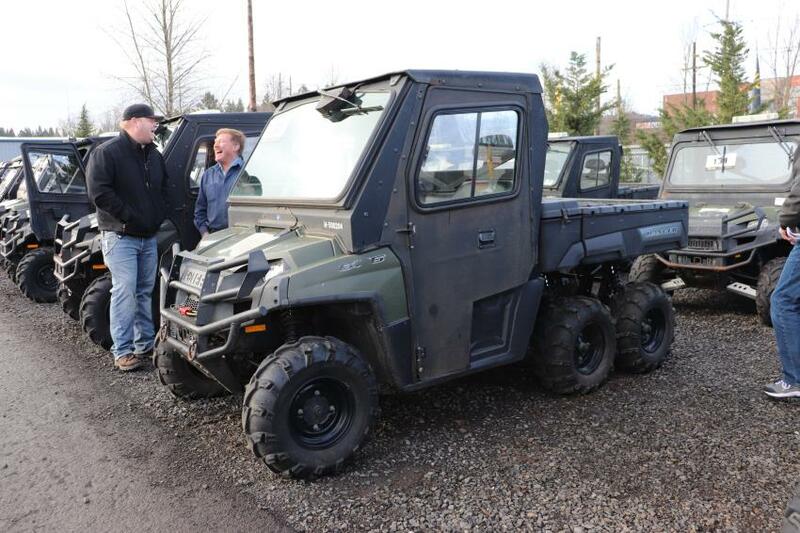 Just in time for the four-wheeling season, JSA auctioned off more than a dozen Polaris Ranger 6x6 UTVs. Auctioneer Randy Grudzinski (L) and General Manager Neil Gardner are taking in live bids during the fast-paced auction, while Proxibid and BidCaller are taking in online bids. 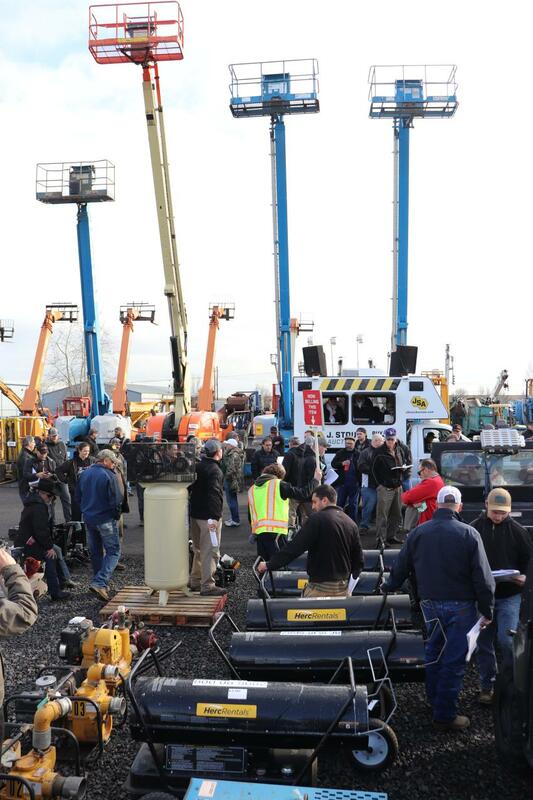 Despite the recent rain, more than 300 bidders drove to the Portland, Ore., auction. 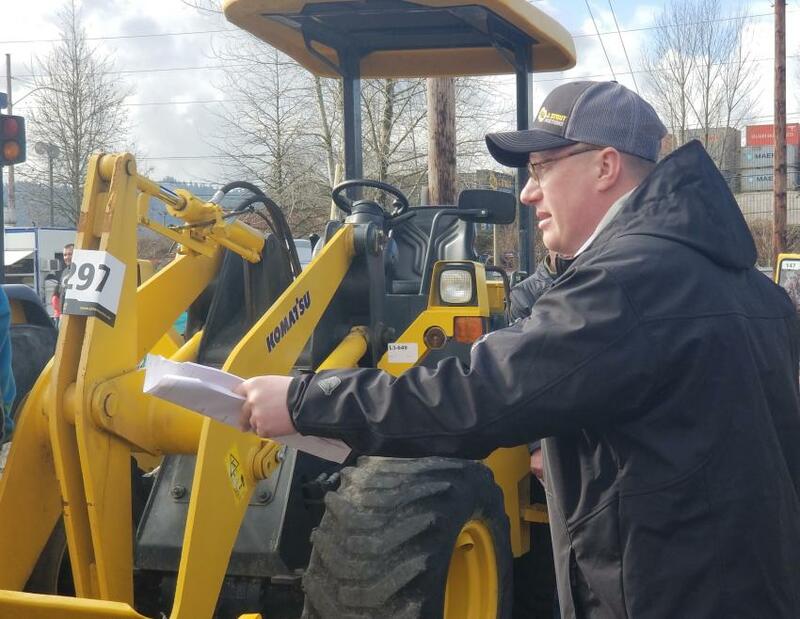 A bidder debates his next move on a 2005 Caterpillar 430D IT 4x4 loader backhoe. By far the most impressively sized piece, a Komatsu D455 crawler dozer sold to a buyer from California. Ringman Dan Gross is taking bids for a 2009 Komatsu W40-6 wheel loader at the March auction.